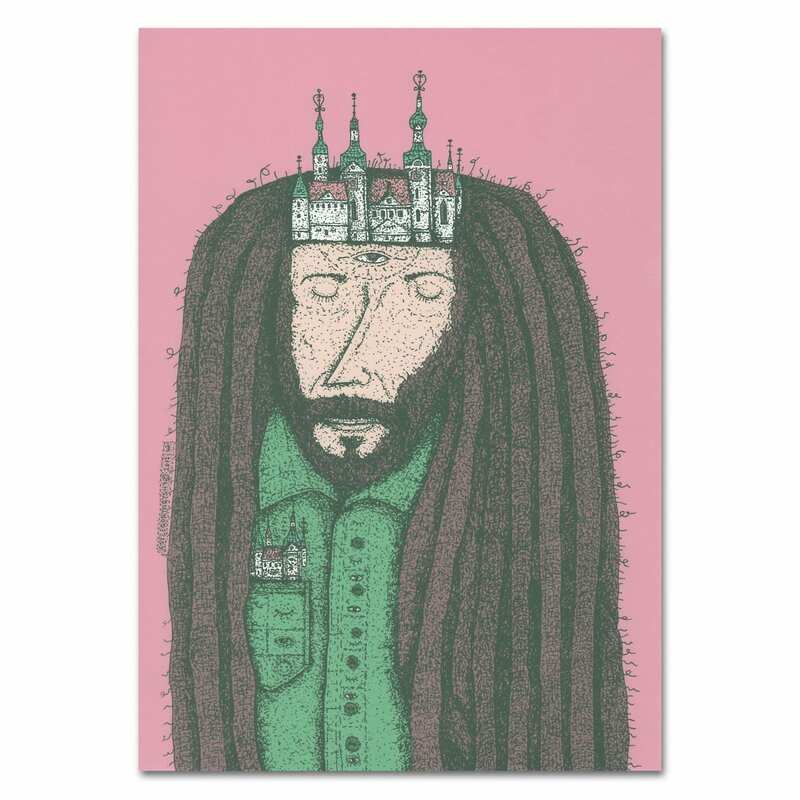 We’re excited to offer for purchase an amazingly elaborate A3 art print signed by Romanian artist Lucian Niță – KSELEQOQYNQYSHY. An introspective work, this contemplative self-portrait records how the artist depicts his own feelings and reflection. His strategically placed characteristic numerous minuscule marks are an outstanding application of stippling, one of the six basic drawing techniques, and suggest contrast, depth and form. Lucian Niță is the author behind the visual project KSELEQOQYNQYSHY (Casele cu Ochi Închiși / Houses with Eyes Closed). The project is an active one and it manifests through personal exhibitions (Bucharest, Varna); the participation at the Street Delivery Festival Bucharest 2018 with an awesome mural; a mural collaboration in Budapest with SUNSHINERS & TUS. Lucian Niță is one of the winners of Un-hidden Bucharest Open Call 2018, creating an outstanding mural graciously hosted by the Faculty of Sociology and Social Work, University of Bucharest, Bd. Schitu Măgureanu, nr. 9. The author illustrates a fantastic world, full of imaginary symbols and characters. KSELEQOQYNQYSHY presses a visually-aware journey, transposed in a ludic manner, offering “viewers” a colourful experience combined with elements of mysticism.